Why Do People Use Agar? Orally, agar is for diabetes, weight loss and obesity, and constipation. In dentistry, agar is used to make dental impressions. In manufacturing processes, agar is used as an ingredient in emulsions, suspensions, gels, and hydrophilic suppositories. Possibly Safe - When used orally and appropriately. Pregnancy and Lactation - Insufficient reliable information available. There is insufficient reliable information available about the effectiveness of agar. 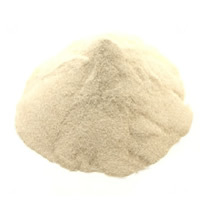 Agar consists of two major fibrous polysaccharides, neutral agarose and charged agaropectin. Agarose is the gelling fraction (11). Agar is thought to work as a bulk laxative by expanding in the gut and stimulating peristalsis in the intestines. There is interest in using agar for weight loss and obesity. The bulking effect of agar is theorized to increase feelings of fullness and therefore decrease food intake. So far, there is no reliable scientific support for this theory. What Are The Side Effects /Adverse Reactions of Agar? Orally, no side effects have been reported; however, theoretically, agar could potentially cause esophageal or bowel obstruction if taken with insufficient fluids. How Agar Interacts With Other Herbs and Supplements? How Agar Interacts With Drugs? Oral Drugs - Theoretically, the fiber in agar might impair absorption of oral drugs. How Agar Interacts With Foods? How Agar Interacts With Lab Tests? How Agar Interacts With Diseases and Conditions? Bowel Obstruction - Theoretically, agar could potentially exacerbate esophageal or bowel obstruction, especially if taken with insufficient fluids. What Should Be the Dose/Administration of Agar? ORAL A typical dose is 4-16 grams, one to two times daily. Take each dose with at least 250 mL of water. Agar, also known as kanten, is becoming a popular supplement for dieting in Japan. In Japan, it is referred to as the "kanten plan" or "kanten diet." Agar's bulking effect in the gut is theorized to increase the feeling of fullness and therefore help reduce food intake.